The doors you see in this collection were custom built and designed for specific customer orders. 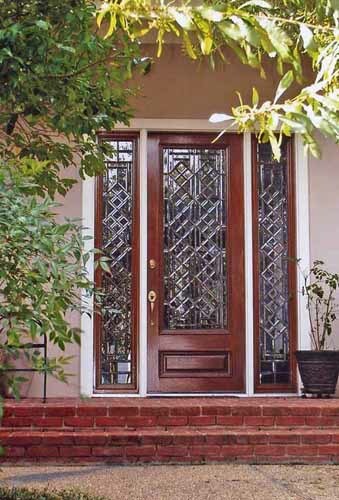 Choose your desired design, shape and size, select a single or double door, add sidelites and transom or opt for custom iron grills to enrich the beauty of your door. Whatever your choice is, our skilled craftsmen stand ready to create any design you want. For a quote on this door design please fill out the quote request form below.